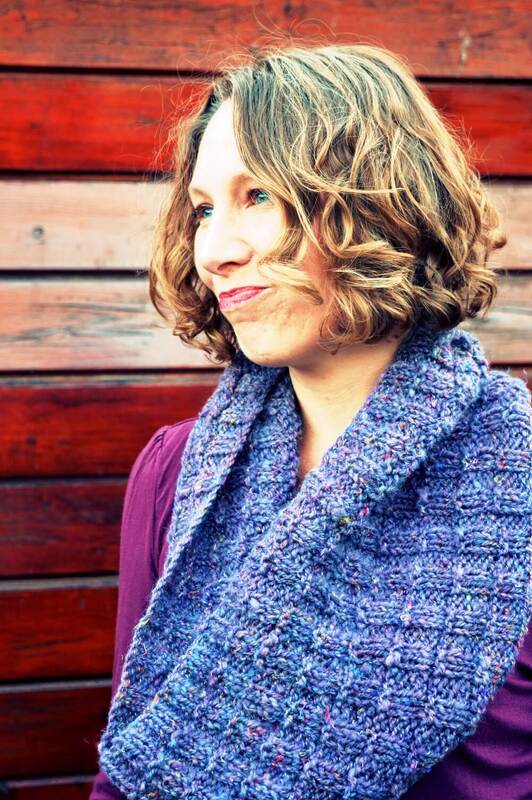 Designed for a pretty handspun yarn, the Ladder cowl pattern lets yarns with medium to long color runs really shine. The name is derived from the stitch pattern because it resembles the steps of a ladder. 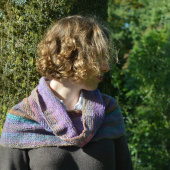 Wear it as a long loop or pulled down over the shoulders to keep them nice and warm. 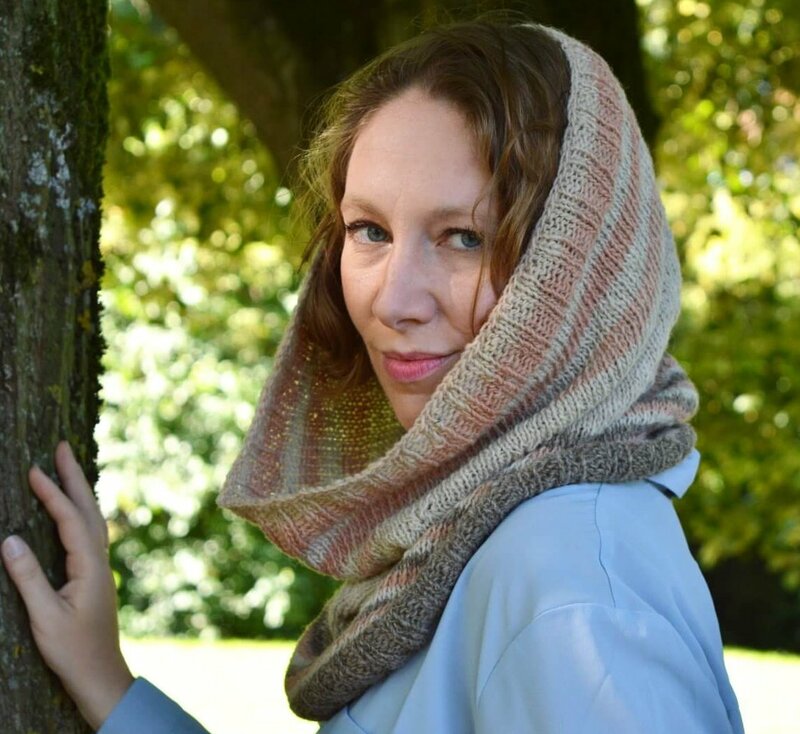 This cowl is knit in the round, with an easy knit-purl stitch pattern. 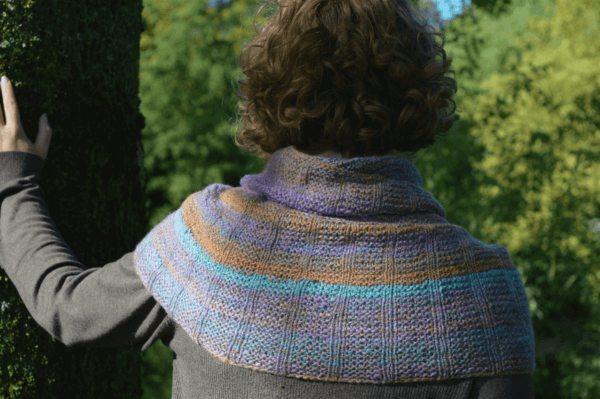 A great design to get more comfortable with knitting in the round or a wonderful relaxing knit for more experienced knitters. This cowl is knit in the round, stitches used are knit and purl. This pattern is suitable for the advanced beginner. Sizes S (M, L), finished dimensions: 79 (90, 102) cm (31 (36, 41) inch) circumference and 42 cm (16 ½ inch) tall. Sample shown is in size S.
Written for a gauge of approx. 18.6 sts / 27.5 rows = 10 cm (4 inches)in stitch pattern (after blocking). 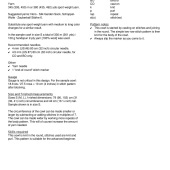 Yarn: 345 (395, 450) m or 380 (435, 492) yds sport weight yarn. 4 mm (US #6) 80 cm (32 inch) circular needle and a 4.5 mm (US #7) 80 cm (32 inch) circular needle, for CO and BO only.